3 YRS Xinxiang Donghai Industry Co., Ltd.
4 YRS Taizhou Conqua Machinery Manufacturing Co., Ltd.
We produce special unstandard components for our old customers according to particular requirement. How to ensure the trade is safe and faithly9 Liming mechanical opened Alibaba's secure payment and trade assurance service. Clients only need to sigh an trade assurance contract which is according to Alibaba company's template. 1 YRS Xinxiang City Simute Machinery Co., Ltd.
8 YRS Xinxiang Changling Metal Products Co., Ltd.
7 YRS Jiaxing Relia Hardware Co., Ltd.
&hearts; 10 years experience in the cutting tool industry &hearts; Grinding and inspection equipments imported from UK, Germany and Japan &hearts; Inspection in every process to ensure 100% qualified &hearts; W orld-class technical team and R&D capacity &hearts; Pass ISO, Germany TUV and Swiss SGS certificates &hearts; Samples for testing before order &hearts; All the DIAMOND&reg; products have 1 year quality warranty after delivery &hearts; Certified supplier of many companies of world top 500 enterprises At KELITE , we offer service of goods exchange & money return if testing is unsatisfactory. 6 YRS Huizhou Mingrui Precision Tools Co., Ltd.
Our company owns high quality production equipment, professional management system and outstanding experts. These products are good for the large scale production in wide areas such as LED industry, automobile industry and electronic industry. 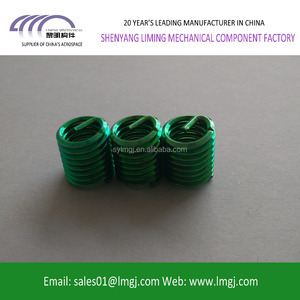 Our factory was pointed as the main cutting tool supplier for many domestic LED, automobile and parts factories. YBC351 The best combination of substrate with high wear resistance and coating composed of MT-Ti(CN), thick Al 2 O 3 layer and TiN makes it suitable for finishing and semi-finishing of cast iron materials. YBM251 Combination of substrate with good toughness and strength and coating composed of TiCN, thin Al 2 O 3 layer and TiN makes it suitable for semi-finishing and roughing of stainless steel. YBD252 CVD coated grade, which is the combination of hard substrate and coating, achieves the balance between wear resistance and toughness. 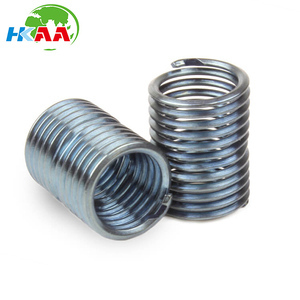 Increase the connection strength: the wire thread inserts can be used for aluminum and magnesium, wood, plastic, rubber and other easy deformation and low strength materials, which can avoid slip ping , wrong teeth and other phenomen a . Increas e the stressed area: wire thread insert can be used to require strong connection without increasing the thin body parts of the screw hole diameter. 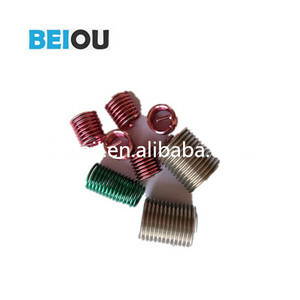 Easy to maintain: in the case of thread machining errors or the repair of internal threads that are damaged, the wire thread insert can cause the matrix to return to life, and can use the original screw, which is fast and economical. Our products are recognized by all customers after being putted into the market XinXiang Beiou Technology. Our slogan is "quality determines the brand of mine ;credibility continues our cooperation". 5. 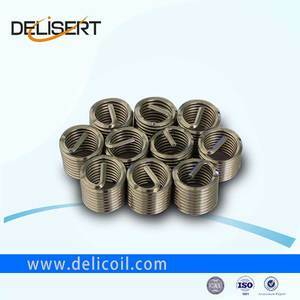 Advanced R & D center, more than one thousand types of threaded inserts and tools. 3, Free-run type and screw-locking type for customer choose. 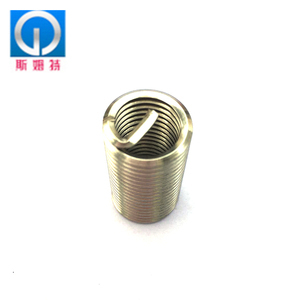 4, Thread insert is used for manufacturing high strength, wear-resistant, high duty and vibration-proof in metallic and non-metallic materials such as Al, Mg alloy, plastic to form M and MJ thread. 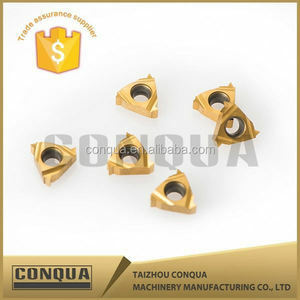 5, Features: abrasion resistant, corrosion resistant, heat-stable, saving material, increasing the bearing capacity and fatigue resistant of the insert connecting part. 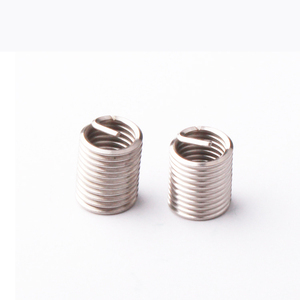 Our company has sophisticated equipment and advanced manufacturing technology for the turning inserts and milling inserts, relatively complete range of specifications, timely supply. 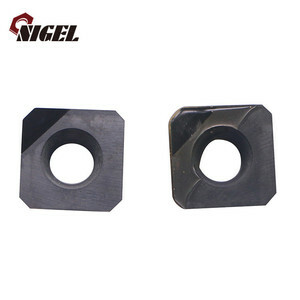 &bull;&loz;&bull; We are in a very good position to supply most grades of cutting tools which comply with ISO standard at competitive prices and for good delivery. &bull;&loz;&bull; We are in a position to accept orders against customers&rsquo; samples specifying design, specifications and packaging requirements. 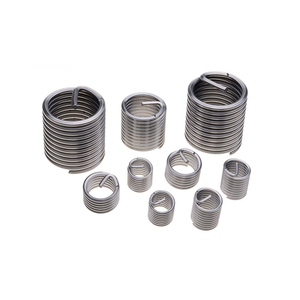 The wire thread inserts are rolled from high quality stainless steel wire with a diamond shaped cross section, wound to the shape of a spring thread. 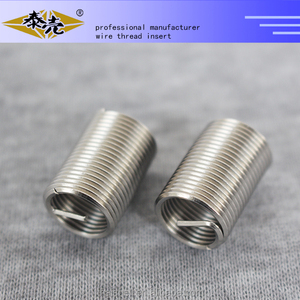 Shi, is one of the initiators of Chinese wire thread insert. We has won more than 200 prizes and 20 patents, we have supplied for Chinese military& aerospace for over 15 years. Alibaba.com offers 2,822 running inserts products. About 12% of these are other fasteners, 1% are turning tool, and 1% are milling cutter. A wide variety of running inserts options are available to you, such as diapers/nappies, foam. You can also choose from free samples, paid samples. There are 2,822 running inserts suppliers, mainly located in Asia. The top supplying country is China (Mainland), which supply 100% of running inserts respectively. Running inserts products are most popular in North America, Western Europe, and Eastern Europe. You can ensure product safety by selecting from certified suppliers, including 566 with ISO9001, 169 with BSCI, and 161 with Other certification.